‘Big Four’ giant PricewaterhouseCoopers (PwC) has recently announced that it is invested in VeChain, a blockchain platform that focuses on financial services, supply chain management, and smart contracts. The move has given the China-based cryptocurrency further hype ahead of its Main Net launch scheduled for the end of June. 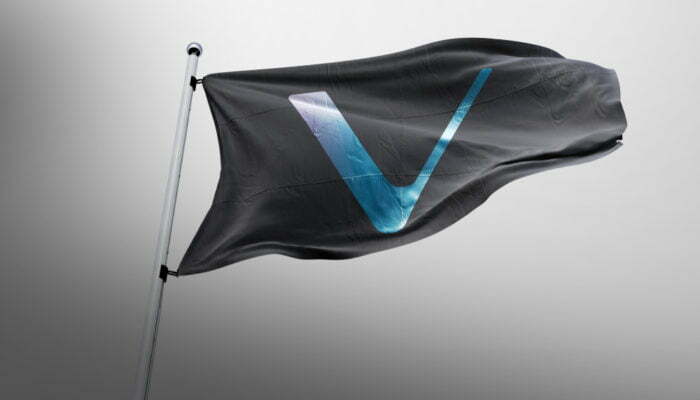 VeChain, which is trading slightly over $5, is currently the 15th largest cryptocurrency by market cap, worth $2.79 billion, with a daily volume of $145 million. Its supply chain management focus has attracted the interest of many industries looking to enter the cryptocurrency ecosystem. It is adoption in an offline consumer goods setting that will determine the success of any given cryptocurrency as a means of exchange. Earlier this year, millionaire Bitcoin enthusiast Tim Draper predicted that in five years time, one would be laughed at if she tried to buy a Starbucks coffee with fiat money. Extremely bullish on Bitcoin, he expects other cryptocurrencies to fall away and leave Bitcoin as the standard. It seems, however, that Starbucks Executive Chairman Howard Schultz doesn’t share the same opinion. He has recently said that Bitcoin will fail to become a currency today or in the future, but that the market will eventually pick “one or a few legitimate, trusted digital currencies off of the blockchain technology”. The criteria that will lift those few cryptocurrencies among over 1,600 is offline mass consumption. These cryptocurrencies “will have to be legitimatized by a brand in a brick-and-mortar environment, where the consumer has trust and confidence in the company that is providing the transaction”, Schultz explained, leaving digital currency investors in search for specific attributes capable of attracting such consumer adoption. VeChain is purposely built to connect blockchain technology to the real world, currently with a focus on cold-chain logistics, healthcare, automobile, and fashion. PwC is only the most recent large institution joining the project. Many other companies are taking an offline approach to cryptocurrencies as a means of exchange. Tangem has launched a trial version of its smart banknote platform in Singapore. The card allows brick-and-mortar transactions with an uncopiable cold wallet. South Korean cryptocurrency exchange Bithumb has also moved to the real world by partnering with mobile payment operator Korea Pay’s Services in an attempt to reach over 8,000 merchants across the country by the end of the year. The operator also partnered with three kiosk manufacturers in February to add cryptocurrencies as a new means of payment. There are many use cases for cryptocurrencies and ‘means of exchange’ is one of them. In case Starbucks’ Schultz is right about Bitcoin losing the ‘currency race’, Tim Draper still stands to gain. His VC fund is betting on many potential winners, including VeChain.